As recently stated by Lee Tien, senior staff attorney for the Electronic Frontier Foundation, “Few other types of data get inside the home the way that electrical usage data does.” Governments and corporations everywhere are recognizing this fact as more and more smart meters are deployed into the population. The word privacy only occurs one time in the paper as indicated above. Almost as an afterthought, the authors evidently thought they should include that word, and I hope you realize the irony. 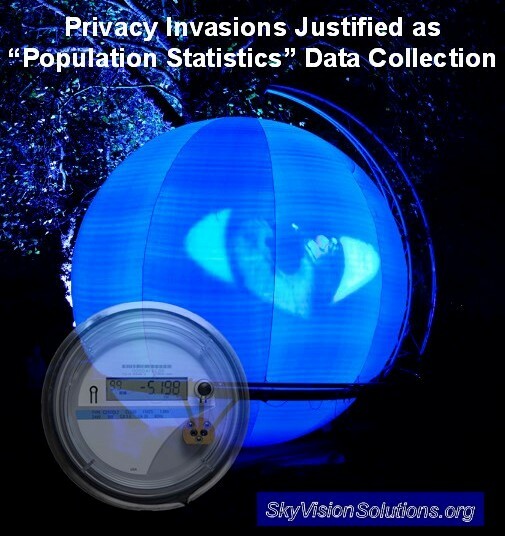 The entire research project and paper is about invading privacy by analyzing smart meter granular data and load profiles and revealing whatever information can be discerned about behaviors, details, and “statistics” within the home. Your privacy is lost at the moment of granular data collection, no matter whatever “non-disclosure” policy a corporation or government may have in place. “Debates over the future of the UK’s traditional decadal census have led to the exploration of supplementary data sources, which could support the provision of timely and enhanced statistics on population and housing in small areas. This paper reviews the potential value of a number of commercial datasets before focusing on high temporal resolution household electricity load data collected via smart metering. We suggest that such data could provide indicators of household characteristics that could then be aggregated at the census output area level to generate more frequent official small area statistics. These could directly supplement existing census indicators or even enable development of novel small area indicators. 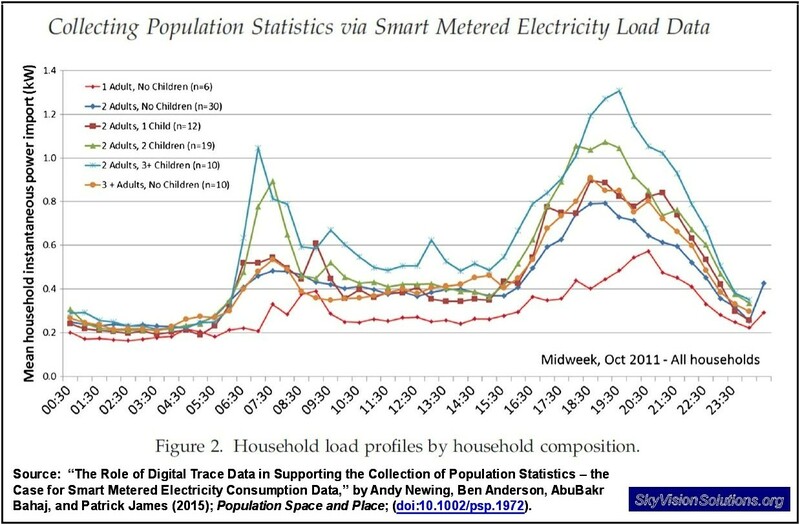 The paper explores this potential through preliminary analysis of a ‘smart meter-like’ dataset, and when set alongside the limited literature to date, the results suggest that aggregated household load profiles may reveal key household and householder characteristics of interest to census users and national statistical organisations. This entry was posted in Smart Grid, Smart Meters, and RF Emissions and tagged Big Brother, Population Statistics, Privacy, Smart Meters. Bookmark the permalink. Big Brother is watching you. What are you going to do about it? 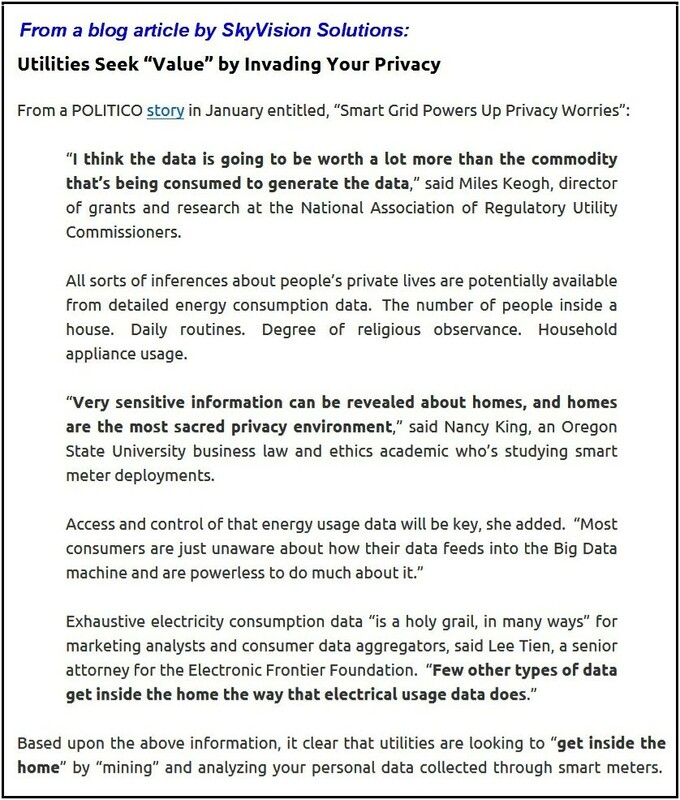 As mentioned in latest article at https://smartgridawareness.org/2015/08/17/dragnet-data-collections-by-smart-meters/, what is necessary now is that we somehow break through this lack of consumer awareness barrier so that smart meters and those who promote them can receive the full and appropriate level of public outrage that they deserve. “energy inequality?” That’s a good one. So we’re all supposed to use equal amounts now? Eh, comrade?